This 18th century mansion house is set south of Bordeaux, ten minutes drive from the charming town of La Réole. The property is surrounded by châteaux such as Roquetaillade, Villandraut and Bazas. It has kept its old marble fire places, wooden floors, high beamed ceilings and large French windows but has been modernised with a huge pool facing the lawn. Spacious and comfortable it is in a village with all amenities as well as tennis courts and opens onto the countryside, creating a very peaceful setting ideal for relaxing. The large lake of Casteljaloux is a twenty minutes drive and has a beach as well as windsurfing, pedaloes and golf. La Réole is known for its car museum but also wine tasting châteaux. Bordeaux, one hours drive, has many trendy shops, museums and sweet small restaurants in the cobbled streets. 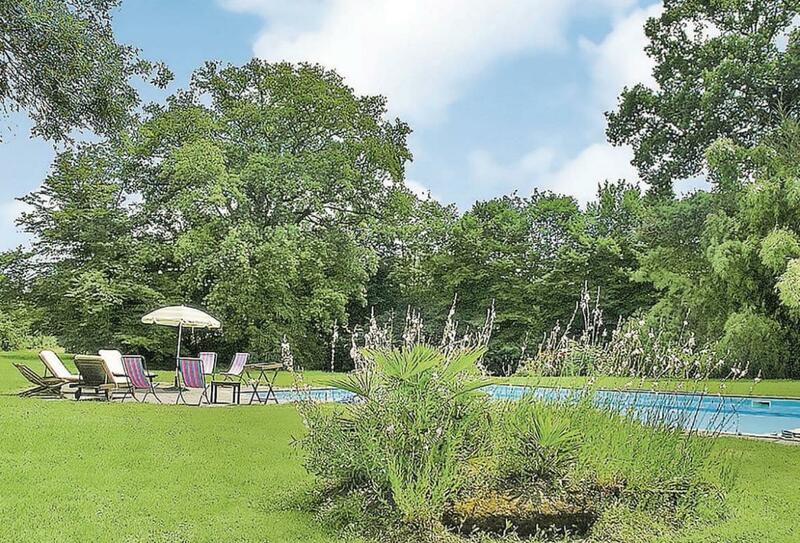 Location: 100 metres from shop and restaurant, 500m from tennis court, 10km from Sauternais golf course, 12km from La Réole (shops), 20km from Casteljaloux (beach on lake, windsurfing, pedaloes, golf), 65km S of Bordeaux (shops, restaurants, museums).